Almost 14,000 people are waiting for new livers. Now, the HOPE in Action clinical trial allows for organs from HIV-positive donors to be transplanted into HIV-positive recipients. The Emory Transplant Center has performed its first liver transplant from an HIV-positive deceased donor to an HIV-positive recipient, thanks to the implementation of the HIV Organ Policy Equity (HOPE) Act. 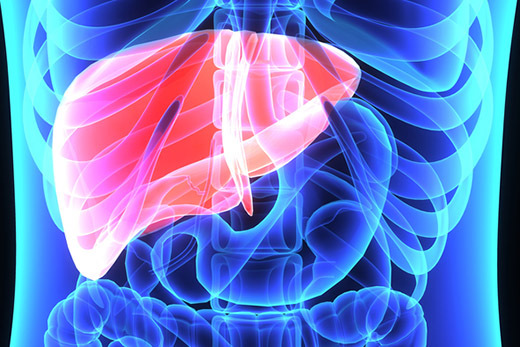 The successful procedure is also the first HIV-positive to HIV-positive liver transplant in the state of Georgia and one of the first in the Southeast. This comes one year after Emory transplanted its first HIV-positive donor kidney into an HIV-positive recipient. Organ donation between HIV-positive individuals was banned until the HOPE Act was signed by President Obama in November 2013. The HOPE Act became effective in November 2015, authorizing clinical trials of the use of organs from HIV-positive donors into HIV-positive transplant recipients. Through the HOPE Act, Emory and 21 other transplant centers nationwide are taking part in the HOPE in Action clinical trial -- a prospective, pilot study to evaluate the safety of HIV-positive deceased donor solid organ transplants (kidney and liver) in HIV-positive recipients. Importantly, these organs are never transplanted into HIV-negative recipients. Any complications that may arise in recipients after transplant are also studied. To date, 46 transplants from HIV-positive donors have been performed in HIV-positive recipients (30 kidneys and 16 livers) at six of the transplant centers involved in the clinical trial. Stable HIV-infected adults with end-stage kidney or liver disease who meet study-specific HIV criteria for organ transplantation will be offered enrollment in the study at Emory. Study participants will be followed and evaluated for four years after their transplant. According to the Organ Procurement and Transplantation Network, nearly 115,000 people are on waitlists for lifesaving organ transplants. Almost 14,000 are waiting for new livers. To find out more about the process of organ donation, visit Donate Life Georgia.